Wasps have confirmed they have held talks with Shaun Edwards. 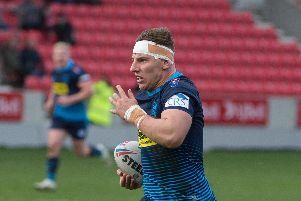 Warriors chairman Ian Lenagan has given Edwards more time to consider his options. He says he will understand if he wants to U-turn on his "handshake agreement" to take charge of his hometown club after this autumn's World Cup. "Shaun would be fantastic for us," Wasps' rugby director Dai Young told Rugby Pass. "We have spoken to him and made our interest known in someone who is a big part of the club's history. "But I know we are one of a number of options he has. Edwards, who appeared at a Wigan press conference in August announcing his return - wearing a club polo T-shirt - gave an interview to the Sunday Times yesterday in which he was asked about the possibility of working with England RU. "On mate, unless you get an offer from someone it is all just hypothetical, isn't it?" said Edwards. "But it's true Twickenham is just down the road, much closer than Wales, I could get the tube there." He also said: ""Please write that I have huge respect for what Ian has done at Wigan,"
Current coach Adrian Lam was again asked yesterday whether he would consider extending his stay. "I'm here for 12 months at the moment and my focus is doing my best here and moving home," he said. "I don't want to think about that until that happens, because we've not been winning and all my energy has been put into that."